i-SIZE - what is it? Sign up to receive news and promotional information. It's always a worry on any journey that youngsters risk straining their neck by sitting in an awkward position. The rhythm of the car often sends babies off to sleep and increases the chance of their head lolling forward or to the side. The Jané Neck Support Pillow will make sure that your child's head remains in a safe and upright position throughout the trip, ensuring the best protection and support possible. It can be used from birth onwards and is made from padded breathable materials, which are soft on the skin and makes sure your little one is as comfortable as they can be. Soft, cervical support cushion that helps the child to keep his head in a comfortable position while he sleeps in his safety car seat. Can be used with car seats and pushchairs. Free from carcinogenic and allergenic colourants: free from Azoic substances or materials, heavy metals, Formaldehyde, Phthalates and Organotin. Free from small parts that could be swallowed and cause choking. Colours are assorted. One colour is picked at random. 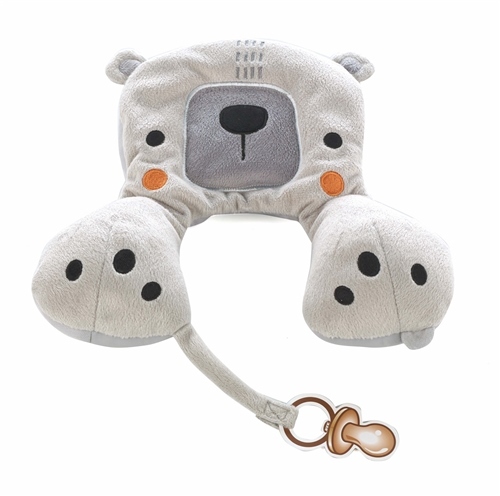 Great product, Lightweight, nice design, fits well in car seat and does the job supporting baby's head when travelling in car especially when asleep. Would recommend. Enter email address above to receive the latest news and promotional information.